Why See Lucia Di Lammermoor? Donizetti's consuming romantic drama returns to the ENO in 2018 for the first time in eight years with David Alden's highly rated staging. Based on Sir Walter Scott's 1819 novel concerning the wilds of the Scottish highlands, Lammermoor is a thrilling exploration of honour, reputation, and political power of men, at the expense and after the ambitious manipulation of an innocent daughter and sister. As the only daughter of the Lammermoor clan, the fragile Lucia is expected to marry tactically into a local family against her own wishes, and those of her secret lover Edgardo, a member of the Ravenswoods, the sworn enemies of the Lammermoors. When Edgardo is dispatched to France on business, Lucia's brother forces her to wed, an action that leads the desolate young woman into a madness from which she is never to escape. Please note this production contains some distressing scenes that might not be suitable for young audiences. Seen Lucia Di Lammermoor? Loved it? Hated it? Sound good to you? 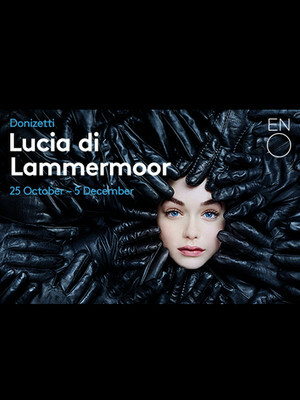 Share this page on social media and let your friends know about Lucia Di Lammermoor at London Coliseum. Please note: The term London Coliseum and/or Lucia Di Lammermoor as well as all associated graphics, logos, and/or other trademarks, tradenames or copyrights are the property of the London Coliseum and/or Lucia Di Lammermoor and are used herein for factual descriptive purposes only. We are in no way associated with or authorized by the London Coliseum and/or Lucia Di Lammermoor and neither that entity nor any of its affiliates have licensed or endorsed us to sell tickets, goods and or services in conjunction with their events.